HomeDog Health IssuesDog SkinHome Remedies for Mange in Dogs, Symptoms, Homeopathic Remedies, Preventive Measures. Home Remedies for Mange in Dogs, Symptoms, Homeopathic Remedies, Preventive Measures. Mange is a common canine skin problem. Characterized by severe itching and hair loss, Mange can affect any part of the body but most commonly; the face, ears, and limbs. 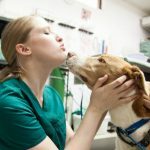 Here is more on diagnosis and how to treat mange in dogs. Home remedies for mange in dogs are available and easy to use. Understand What Mange in Dogs Is. 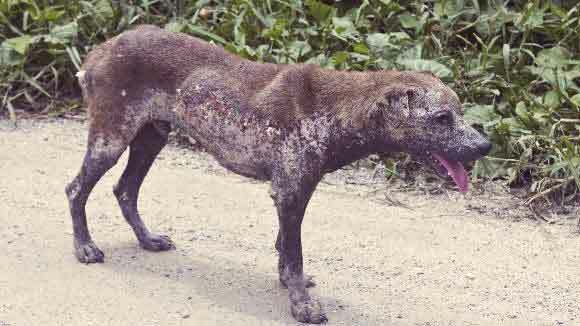 Mange is a skin infection that is common for all types of dogs. It is a disease caused by microscopic parasitic mites. Common symptoms include hair loss, the formation of scabs and abrasions on the skin, skin redness, and severe itching. Mange commonly occurs on the dog’s face, elbow, ear, and limbs. There are two common types of mite causing Mange skin disease: The Sarcoptes mite lives deep in the hair follicles while the Demodex mite lives on the skin surface eventually. While these two have similarities, knowing the difference comes in handy during diagnosis, prognosis, and treatment. Most important to note is the Mange is a treatable skin infection. Make sure to consult a vet as soon as you note any telling symptoms of mange. Demodectic is the most common type of mange in dogs. It appears when the dog’s immune system is not capable of keeping Demodex mites under control. Thus the dog’s immune system is unable to fight off the overpopulation of insects. This type of mange occurs primarily in puppies under two years old. Older dogs with evidence of Red Mange could be due to immune suppression brought on by illness or medication. NB. Demodectic is not contagious to other pets or humans, but it can be transmitted from mothers to their puppies during birth or breastfeeding. Unlike Demodectic, Sarcoptic mange also known as Canine scabies is a highly contagious skin infection found in dogs. It is caused by Sarcoptes mites’. Dogs may be infected if they come in contact with an infected area, dogs or hosts. The insect’s mate, then female leaves behind eggs burrowed in the dog’s skin. These will then hatch in four to ten days. Canine Scabies is highly contagious. It’s advisable to quarantine your dog to avoid infecting other pets. Sarcoptic Mange affects dogs of all ages might be affected, but it’s most common in puppies. Humans can also be affected by Sarcoptic mange. It can cause small itchy red bumps on the affected area on the human skin. However, their reproduction in human skin is impossible not like the dog’s skin, so the human skin heals in 11 to 16 days. While symptoms may be different for both types of mange, the procedure for checking the symptoms remains the same. This may include, examining the dog’s feet, checking for hair loss, bald spots, and itching. Redness, red bumpy rashes that look like mosquito bites. Alopecia (hair loss), Patchy hair loss on face, ears, legs, and elbows. If the dog’s symptoms are confusing or too complicated to understand, have your dog checked by a vet. He’ll examine and perform tests to rule out bacterial infection of the skin, food allergies, or chiggers which portray almost similar symptoms as Mange. There are different types of treatments for mange. However, similar home remedies can be used effectively to kill mites and treat both types of mange. Borax is a common household disinfectant; it’s cheap, easy to acquire and also dissolves quickly in water making it useful when applying it on the dog’s skin and fur. Not only does Borax Cure Mange it also kills fungi and insects on the dog’s skin. The best form of Borax to deal with Mange is Sodium perborate which is the potent form used in curing Mange in dogs. Mix 3 heaping tablespoons Borax with 1 % Hydrogen peroxide and water. The amount of mixture you use depends on the size of your dog. Do not use this remedy for more than two weeks. Do Not wipe dry. This will allow the treatment to be absorbed and work more efficiently. Make sure that the dog does not ingest the mixture. Yogurt is especially preferred and recommended to treat the inside of the dog’s ear. It helps with the problems of crusting, discoloration and discharge on the dog’s ear due to Mange. Yogurt contains acidophilus bacteria which helps get rid of these symptoms relieving the dog from discomfort. You can mix yogurt with apple cider vinegar or honey to get better results. Cooking oil is one of the most effective home remedies for mange in dogs. It is cheap, available and easy to wash off. There is no stick by the rule of applying cooking oil to your dog. Simply apply a few drops of cooking oil on the affected area. Cooking oil removes waxy deposits. This creates unfavorable conditions for the mites, hindering their population increase. Population control will ultimately kill mites in dogs. It also relieves the dog from irritation and itching brought on by the Mange disease. Note that cooking oil for mange is best used along with other remedies. 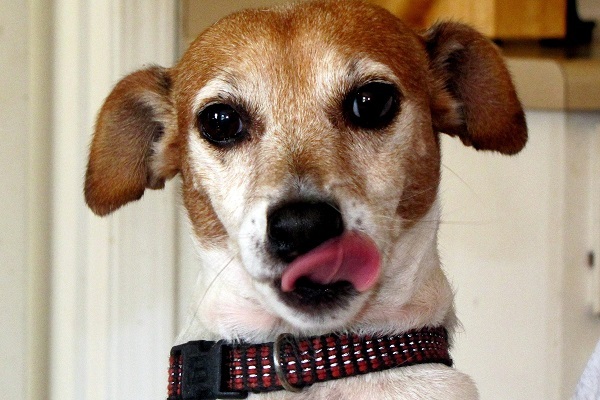 Honey is one of the best home remedies for mange in dogs. It contains lots of properties (antiseptic, antioxidant and cleansing qualities) which make it an excellent remedy. Spreading honey on the affected area suffocates the mites. The antioxidant properties stimulate rapid healing by reserving pigmentation. It smoothens the inflamed area and folding of the affected skin. Honey can be mixed with yogurt for even better results. 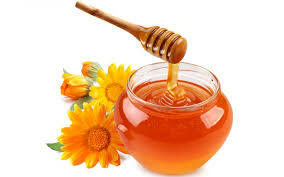 Remember to wash off the honey before the night- ants like honey and may attack the dog. Raw honey is recommended for this purpose. Soap has primary alkaline nature that helps stop the spread of mites causing Mange. It’s not as efficient as other types of remedies but can be helpful in some ways especially in cleaning the dog. It reduces inflammation and also reduces the infection levels. 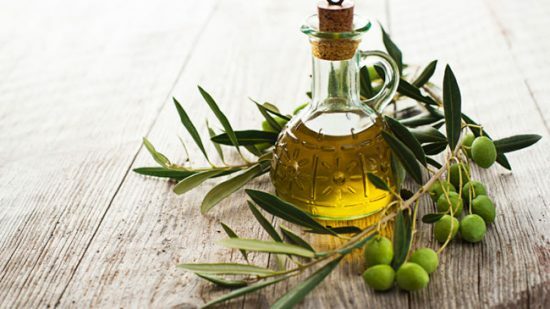 Olive oil is a common remedy and can be used for a number of canine skin ailments. This can be credited to its natural properties. Constant use on the affected area can result in thick coat formation on the area. This will reduce air supply thus killing the Mange Mites. It soothes skin and calms irritating, itching spots on the dog’s skin. Olive oil can be used in sensitive areas such as the dog’s skin. Although it’s not a universal remedy, Need Oil is effective in curing Mange in both puppies and adult dogs. It cleanses, soothes skin and treats the affected area. Neem oil also enhances faster regrowth of fur. Aloe Vera is one of the most common remedies used for the skin. It’s antiseptic and anti-parasitic nature giving it an upper hand when fighting off the mites and in curing Mange. Apply aloe vera sup on the affected area twice daily. It will help soothe irritations. Aloe Vera is natural so it can be used to apply on the skin after the usual dog’s borax and hydrogen peroxide bath hence actually killing Mange mites. 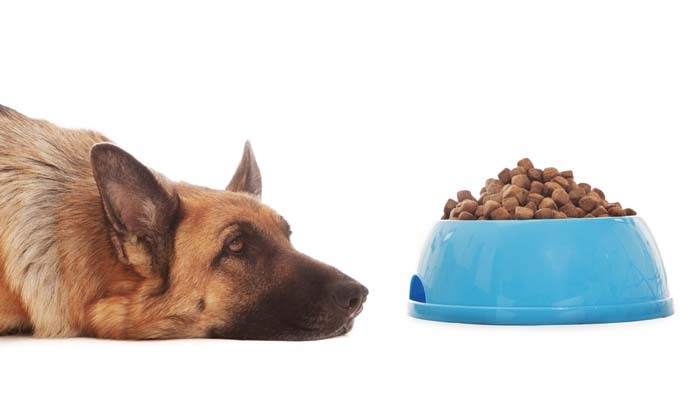 It’s also advisable to feed your dog with foods full of supplements. It will help alleviate itch, irritation and improve skin conditions. Vitamin C, Vitamin E, and fish oil are some of the supplements that help with healing, thus ensuring your dog’s health is in good condition. When applied on the skin it prevents Flea, Tick, and Mange infection. It’s recommended for dogs with lesions on the face and head. It’s recommended for dogs with irritating and itching skin. Wash your dog and beddings frequently and thoroughly getting rid of Mange Mites. Replace the linens if they come into contact with a Mange infected pet. Do your best to keep your dog from other pets that may be or you already know are infected. Brush your pet’s fur frequently; this leaves the dog free of Mange Mites. Regular checkups taking your dog to the vet regularly will make it possible for the vet to do the necessary checkups so if the dog has Mange, it will be diagnosed earlier.